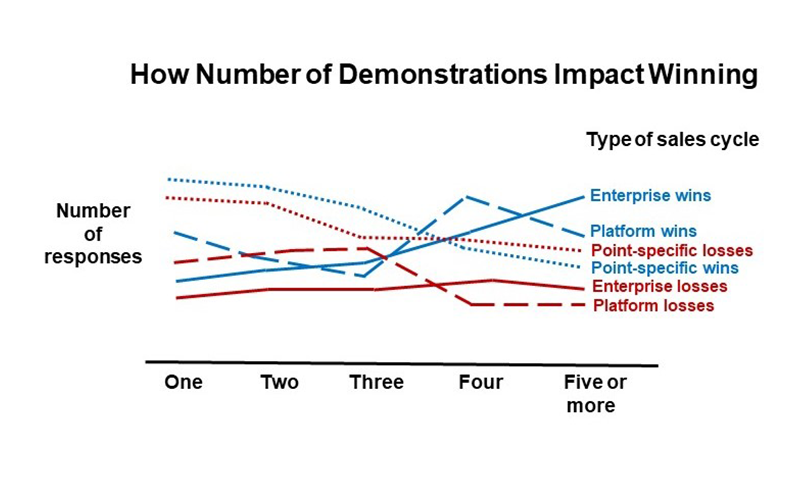 What separates high-performing and underperforming sales organizations? Steve Martin has studied hundreds of different companies and his research shows the best business-to-business sales organizations share specific patterns of organizational structure, sales acumen, and team behavior. Conversely, underperforming or weaker sales organizations tend to be missing some or all of these critical characteristics. Steve transforms sales organizations through win-loss sales cycle analysis studies, sales strategy and sales playbook development, sales organization analysis, and sales team training. A sales playbook is a strategic document that details the sales strategy by which salespeople win new customers, expand their presence within existing client accounts, and the tactics to control the customer engagement process. In essence, a sales strategy playbook is the owner’s manual that determines how a company will grow sales and prosper. To serve as a road map that provides direction and strategies to grow your business to the next level. The playbook defines the methodology to capture new clients and expand business with existing clients. To explain how you should position yourself, communicate with clients, and win over decision-makers at all levels of a customer’s organization. To provide state-of-the-art information and best practices into a written document so they are accessible to the entire sales organization. To be a teaching guide that synchronizes the sales organization. The playbook is a training guide for onboarding salespeople who focus on new clients (hunters), install base account managers (farmers), pre-sales engineers, professional services consultants, and customer service and delivery personnel. Steve has improved the sales organization performance for hundreds of companies by conducting sales training workshops, sales organization consulting and win-loss sales cycle analysis studies. To accomplish these win-loss studies, he has interviewed hundreds of senior executives (CEOs, CIOs, CTOs, COOs, CFOs, CMOs, VPs of Ecommerce, Supply Chain, etc.) and countless mid-level managers and lower-level technical evaluators about their experiences when selecting between competitive solutions. He has also interviewed thousands of top salespeople to understand why they are successful and how they win strategic accounts. A company’s success is determined by the sales department’s ability to win new customers and expand their footprint by repeatedly selling to existing clients. The Win-Loss-No-Decision Sales Cycle Study will provide direct feedback from prospective customers to ensure you are employing the best engagement strategy to achieve repeatable sales success. The research will help focus the sales organization and serve as the blueprint for sales execution. It will provide the strategic framework to improve sales win rates and practical sales process management tactics to maintain account control so deals close with greater predictability. The study results can also be easily communicated to new sales hires to encourage faster productivity and provides corrective recommendations for underperforming salespeople. Information from the study will also help improve overall product messaging, solution positioning, and provide important customer feedback to all areas of the company that provide pre- and post-sales process support. In addition, the study will help synchronize how sales leadership, salespeople, and all areas of the company talk about competitive accounts. The sales organization analysis study will measure the effectiveness of your company’s sales organization and salespeople. 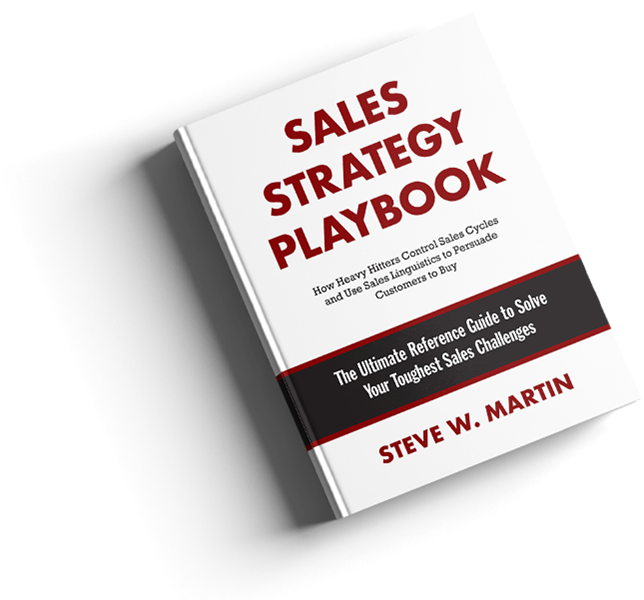 To accomplish the study, Steve Martin takes the prospective customer’s point of view and analyzes your sales organization strategy, customer interaction strategy, competitive positioning, and business acumen of your salespeople. engages salespeople across your organization, from various locations. Actionable recommendations and practical advice are provided to improve overall sales effectiveness. Steve Martin’s sales training workshops will transform your sales organization’s performance. High-growth companies have trained their salespeople on the process to educate customers about their products and procedures to determine customers’ business qualifications and technical requirements. Their sales organizations’ understand how prospective decision makers think and they can differentiate themselves from the competition. They know how to win and the circumstances they are most likely to lose. They provide their sales force real world sales strategies and advanced tactics so they can predictably close business. A former Silicon Valley sales leader, Steve has had the privilege of mentoring sales leaders all around the world. He has studied and interviewed more than one thousand vice presidents of sales about their sales organization goals, challenges, and their strategies to exceed their revenue targets. He enjoys sharing his knowledge and helping sales leaders solve their toughest challenges.